Held annually during the second week of April, this week honors telecommunications personnel in the public safety community. 1. Tell a story on social media about how a 9-1-1 dispatcher has helped you, using the hashtag: #ThankYou911. Share these #ThankYou911 graphics to help tell your story! 2. Share this #ThankYou911 video with your social network. 3. Send a token of appreciation to your local 9-1-1 center in the form of a handwritten note, a thank you greeting card, flowers, or baked goods. 4. #ThankYou911 art activity for kids: task them with drawing a picture that expresses their thanks for the unsung heroes of 9-1-1. Then once their masterpiece is complete, drop them off at the local 9-1-1 center. It will make their day! – Teach your children how and when to dial 9-1-1. 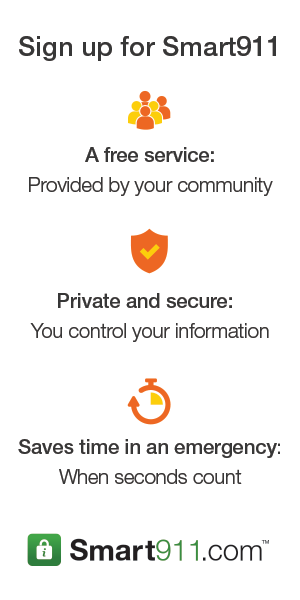 – Give 9-1-1 information before an emergency strikes by signing up for smart911. – Educate yourself about 9-1-1 to ensure you will be prepared in a crisis situation. 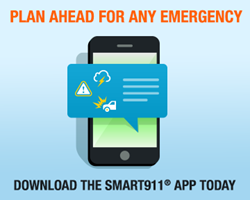 Encourage friends and loved ones to prepare for emergencies by signing up for Smart911.